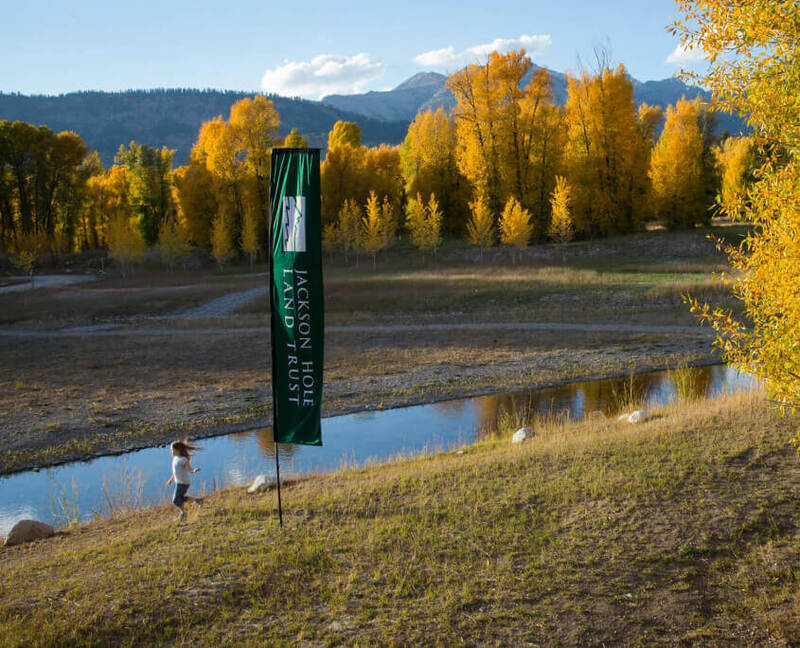 The Jackson Hole Land Trust works to protect and steward the treasured landscapes of Northwest Wyoming. Our vision is a legacy of protected open spaces, wildlife habitat, working lands, and community spaces across Northwest Wyoming that inspire current and future generations. We partner with landowners to protect open spaces using a tool called conservation easements. These voluntary agreements protect wildlife habitat, working lands, and community spaces for future generations. Once the easement is created, we remain as an ongoing partner, and help by providing advice or resources, and ensure that the original vision for the land is upheld, even if the land changes hands. We walk each property at least once per year during our annual monitoring visits, and use that time to learn from the landowner about the changes they’ve noticed on the landscape, as well as any issues or concerns they may have. With your help, we have protected over 55,000 acres in Northwest Wyoming, including Teton, Sublette, Fremont, & Park Counties. 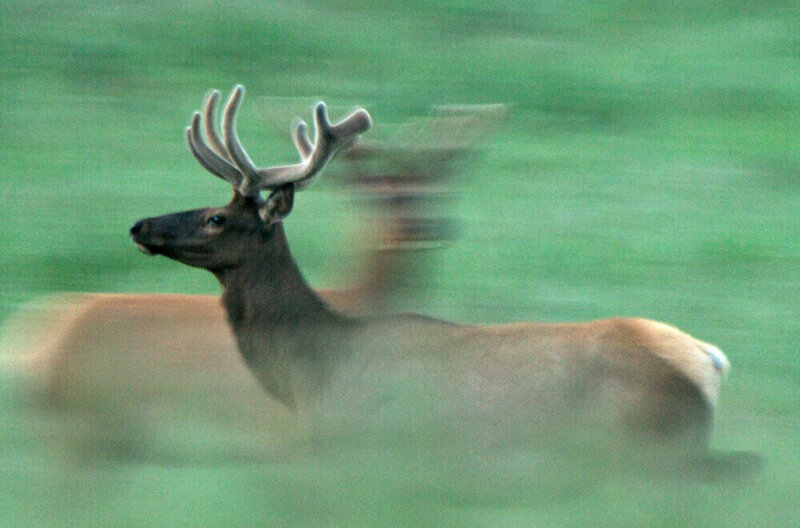 For nearly 40 years, we have been partnering with private landowners to help them achieve their conservation goals, while protecting the legacy of protected open spaces, wildlife habitat, working lands and community spaces across Northwest Wyoming that inspire current and future generations. 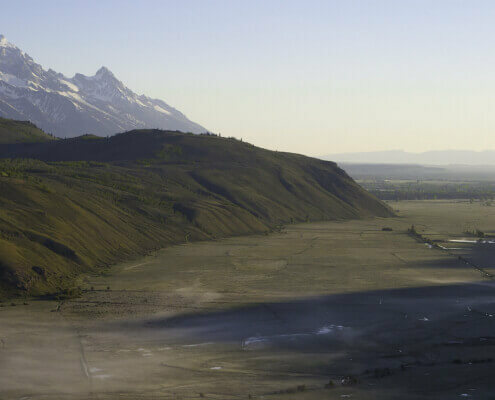 Situated in the Snake River Riparian Corridor, 44 acres of undeveloped land were protected through a donated conservation easement in August 2016. 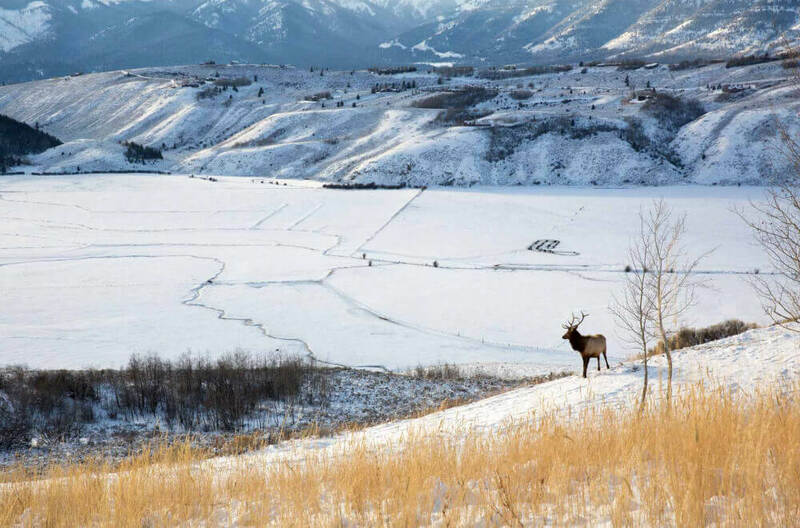 The property features key habitat for elk, mule deer, moose, bears, mountain lions, and cutthroat trout, and is surrounded by Jackson Hole Land Trust protected properties and Grand Teton National Park.